1. Will I lose control over my assets when I use SFS as my advisor? NO! You retain complete control of your assets. Your brokerage account is in your name and you only give us authority to buy and sell assets for you. 2. Are my assets safe? SFS never takes possession of any customer money or other assets. Your money is always held in your own name at your choice of Stock/Commodities Brokerage company or with CDC/MNCCPL/PMEX in your own name. We will only take our FEE from you for our advisory, not your investments/assets. Shaikh Financial Services holds no customer assets in its name. You give us only a limited trading authority that allows us to complete authorized changes in your account(s). 3. Are brokerage commission’s discounts via your reference possible? While you grant us Limited Power of Attorney (LPOA) to execute transactions on your behalf, you remain in control of your assets at all times. 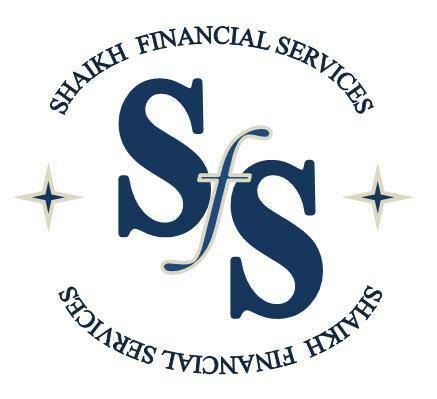 Regardless of where assets may be held, securities transactions will be directed by Shaikh Financial Services and you will receive substantial discounts (on brokerage Commissions charged) from regular retail commission schedules from our recommended brokers i.e if you ask you for it, Otherwise you are free to choose any broker of your choice and satisfaction. 4. Must I start my account with cash? No. You may start your account with either cash or securities or, if you wish, a combination of cash and securities. 5. How will I know when changes are made to my portfolio? SFS offers two choices to clients. Discretionary clients allow SFS to manage the portfolio in a timely and efficient manner. Non-discretionary clients prefer more control. Prior to making any change to an account, a recommendation is sent out with supporting information for the client’s review. The client then will either approve or cancel the recommendation and return it to SFS for execution. 6. How will I know about the status of my account(s)? 7. What do I do if I have questions about your reports, my account(s) or other financial matters? You are encouraged to call our office with any questions you may have about your account or other matters with which we might be of help to you. We believe that managing assets is a very personal matter and encourage ongoing, direct contact and conversation with our customers. 8. Do I have to keep my account with SFS for any minimum amount of time? 9. What does Fee-Only mean? It means that we sell advice not products. It means that we are not compensated for investment transactions. It means that we don't receive commissions, rebates or other types of soft-money of any kind of product we recommend. 10. Why is FEE Only service important? Fee-Only is the most objective method of delivering financial advice to families facing change. Even though this move is somewhat groundbreaking and less profitable, we believe that the marketplace would reward them who hold their client's best interest at heart. The financial interests of the advisor and client are aligned. As your portfolio increases in value, so does the compensation of the Fee-Only advisor. 12.How is my money safe? Your money is always held in your own name at your choice of Stock/Commodities Brokerage Company or with CDC/MNCCPL/PMEX in your own name. We will only take our FEE from you for our advisory, not your investments/assets. Shaikh Financial Services holds no customer assets in its name. You give us only a limited trading authority that allows us to complete authorized changes in your account(s). 13.Which one is better, Professional Investment Advisory or Advise from Brokers. Investors are bombarded multiple times daily by advertisements from investment advisors offering “independent,” “objective” or “unbiased” advice. Unfortunately, the emperor has no clothes, and investors must be constantly on-guard because conflicts of interest abound and advisors' duties are not what they seem. While most investors view their Brokers as “Advisors,” Brokers are NOT primarily serving as investment advisors. This begs the question as to what constitutes brokerage services. Essentially, a broker-dealer takes orders, executes trades and provides custody services. Brokers also offer investor education, research and recommendations, but such advice is considered “solely incidental” to brokerage services. Similar to car-dealers, broker-dealers may buy securities from clients for their own accounts acting as “principals,” or they may buy or sell securities acting as commissioned agents for others. When acting as broker-dealers, brokers are paid by their clients what we call Brokerage Commission. The More you Trade the more commission the Broker will get, He will hardly be interested in making you money as his earnings depends on the number of trade you make and nothing else. In a nutshell, in an advisory account, the advisor owes a fiduciary duty to hold clients’ interests above all others. In a brokerage account, no fiduciary duty is owed to clients. As a Certified Independent Investment Advisor, Shaikh Financial Services embraces its fiduciary duty to hold clients’ interests above all others. Since we do not sell investment products, we have no “dog in the hunt” when it comes to investment recommendations. 14.What is the difference between FEE only vs FEE Based Advisors ? While many investors recognize the conflicts of interest associated with a commission-based compensation structure under which “advisors” are compensated based on the products they sell, many are unaware of the conflicts inherent in a “fee-based” arrangement. In a fee-only compensation structure, the advisor is solely paid a fee to provide investment advice and receives no product-based compensation whatsoever. As such, fee-only advisors generally have no product biases and provide truly objective, conflict-free advice. As a Certified Independent Investment Advisor, Shaikh Financial Services embraces its fiduciary duty to hold Clients’ interests above our own. As fee-only advisors, we are truly objective independent investment advisors. We encourage investors considering the use of an investment advisor to inquire about the advisor’s means of compensation and avoid situations in which advisors receive product-based compensation of any kind. 15.How to become your client.